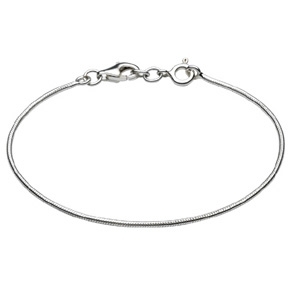 Sterling silver charm bead bracelet featuring a double locking clasp to allow easy fastening and security of beads. This bracelet comes with our luxurious gift box and bag as standard. CHOKING HAZARD Not suitable for children under 3 years due to small parts. Jewellery is not a toy.